A young girl and her friends know there’s more than meets the eye when lakefront construction work unearths a mysterious floating mass in this new middle-grade book released by Dog Ear Publishing. Connecticut’s Northwest Hills conjure up images of winding country roads, 18th century clapboard houses, spectacular fall foliage, and the next Christmas tree for Rockefeller Plaza. Briarwood Cove, a fictional Norman Rockwellesque hamlet ensconced deep in these hills, conjures up one additional thing – paranormal activity. It’s a good thing eleven-year-old adopted Chinese empath/precognitive Ling-Ling Turner is a resident. Ling-Ling is a PPI (Paranormal Private Investigator). When strange things happen in town, most adults either “pooh-pooh” them or come up with a logical explanation. Ling-Ling knows better – she is a firm believer in the veracity of paranormal activity, who delves into bizarre occurrences to seek the truth. 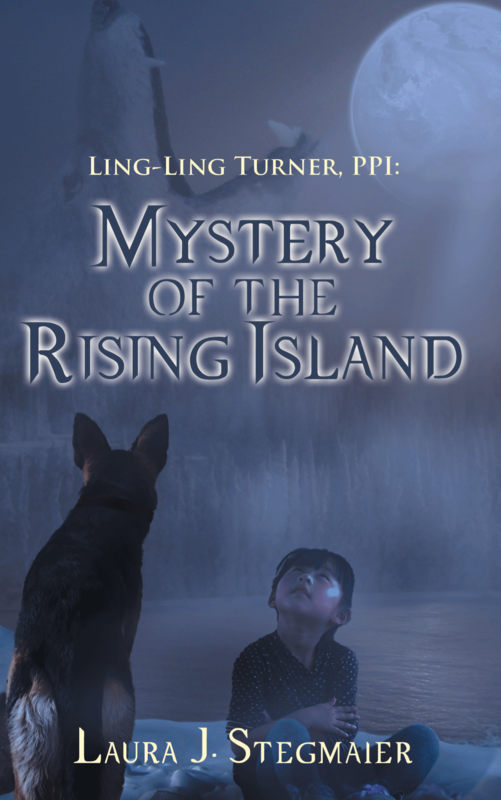 In Ling-Ling Turner, PPI: Mystery of the Rising Island, doom casts a shadow over Briarwood Cove when blasting at a lakefront construction site releases a floating stink pile of muck from the depths of frosty Lake Tahaso. Coyotes arrive in town, and mysterious attacks on domesticated animals occur at night. While the local police deem coyotes responsible for the attacks, Ling-Ling and her friends Chloe, Jada, and Pablo discover the truth: the tiny town is under the spell of a revived massive ancient Indian curse! Author Laura J. Stegmaier has written children’s fiction in a variety of media, including graphic novels, internationally broadcast animated television series, audio books and comic strips. The deep woods surrounding her longtime home in the rural Northwest Hills of Connecticut, as well as her belief in otherworldly and paranormal phenomena, inspire her writing.